With rapid boil, you can have cups of tea or coffee ready in no time. Enjoy your hot beverages with better water purity, thanks to the removable filter which removes limescale from the water to make sure your tea and coffee is perfectly clear. Prevent tangled wires or messy worktops with this model’s handy cord storage. Simply retract the power cord back into the toaster’s body when not in use, freeing up the space. Select a shade to suit your home interior style. Its stainless-steel body means you get great quality with a contemporary finish. 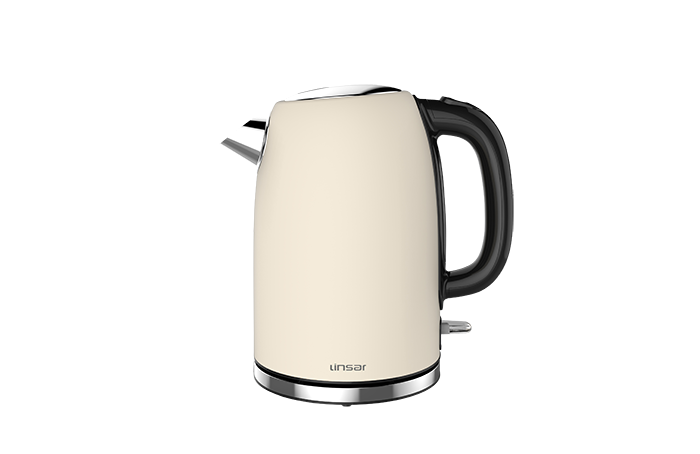 It ensures your water is kept true to taste and prevents any discolouration, keeping your kettle stylish. 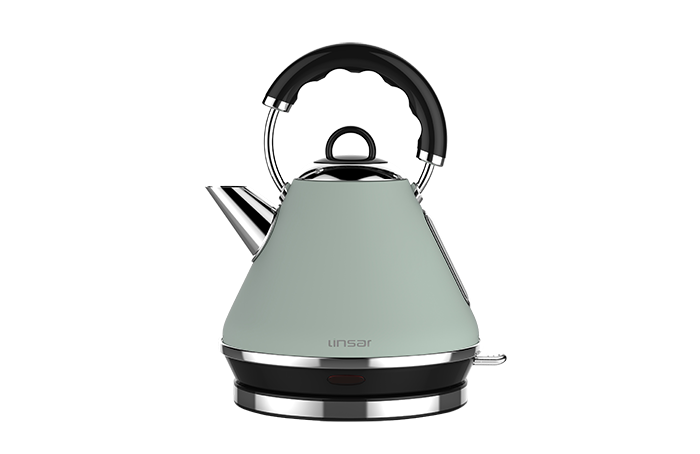 Cordless kettles make life that bit easier. The base features a cord that measures 0.75m to plug in and power the kettle. Once the water is boiled, you can remove the kettle from the 360-degree base for fuss-free flexibility. Only one I could get in white with 1.7 litre capacity. Looks nice and really like the way it pours. Expected it to boil a bit quicker when full. Very nice looking kettle. Sounds noisy, disappointed with the colour it is a much lighter green than than it looked on the web site , so I will be changing it. It is a very good looking kettle and does not take a lot of room. Good price. It could do with being more red as it is different red from my other things. Colour was purchased specifically but it's a bit noisy. This electric kettle from Linsar comes with great style and a range of handy features. 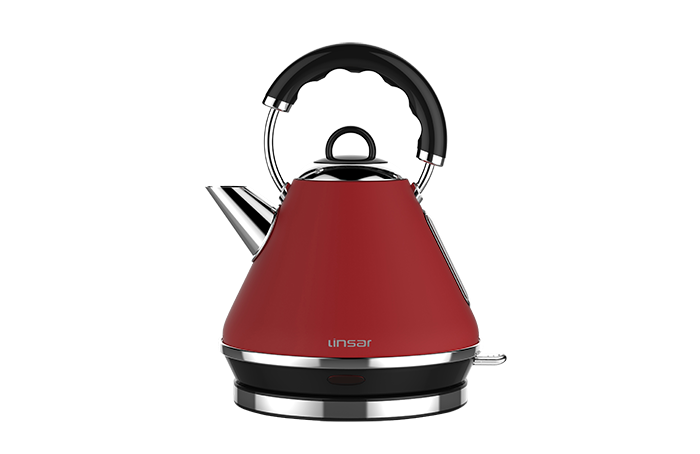 The JK115 is available in a range of 6 colours to suit any kitchen. As it’s exclusive to Euronics, you won’t find this appliance anywhere else. 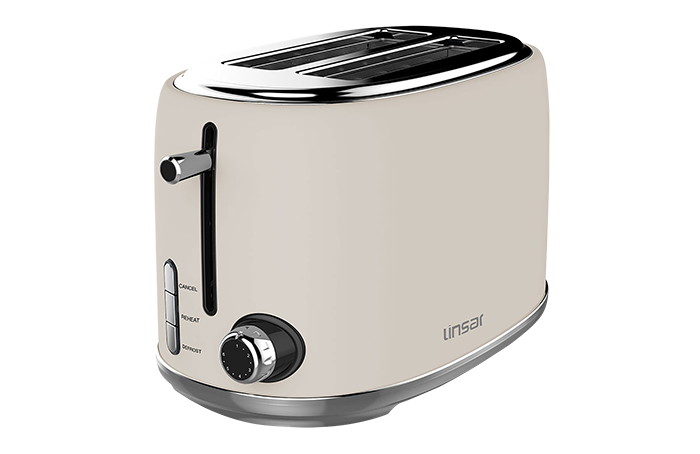 Exclusive to Euronics and Agent Stores, this Linsar toaster comes in a range of 6 colours to suit any kitchen. A two slot toaster, the KY865 measures just 18 cm x 25 cm x 16 cm, fitting easily into almost any kitchen worktop.